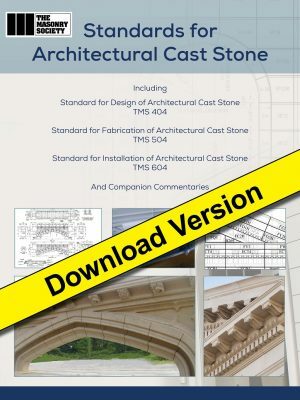 The TMS 402/602-16 (formerly designated as TMS 402/ACI 530/ASCE 5 and TMS 602/ASCE 530.1/ASCE 6) has been released and adopted by the 2018 edition of the International Building Code and International Residential Code for the design and construction of structural masonry, masonry veneer, and glass unit masonry. 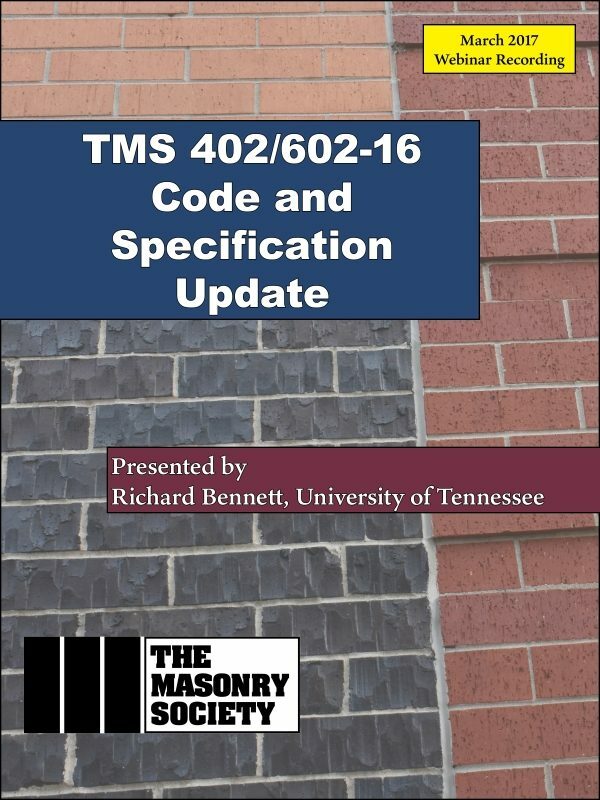 This webinar recording allows you to quickly learn about the major updates and changes to the 2016 TMS 402/602, with a short review on changes that will be made in the 2018 International Building Code’s masonry provisions. The 1.5 hour webinar is presented by Dr. Richard M. Bennettt, Chair of the Committee that developed these provisions. This webinar is intended for designers, contractors and others to help them understand the main updates made to these codes and standards from the earlier TMS 402/602-13 and the 2015 IBC. It is assumed that the user has familiarity with those earlier documents. This webinar was originally presented on March 8, 2017. Purchasing this product will grant you access to the webinar recording and a PDF of the presentation. Certificates of attendance are not available for this webinar recording. Purchasers may complete a short quiz to obtain a certificate of completion that may be able to be used for 1.5 hours of continuing education. Richard Bennett, PhD, PE is a Professor of Civil and Environmental Engineering at the University of Tennessee. 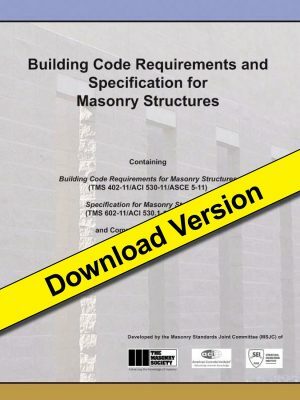 Dr. Bennett has been very active in The Masonry Society (TMS), the former Masonry Standards Joint Committee, and the more recent TMS 402/602 Committee: Chairing the 2016 TMS 402/602 Committee, serving as Vice Chair of the 2022 TMS 402/602 Committee (and previously as Vice-Chair of the 2013 Committee), and formerly Chairing the Flexural, Axial Loads, and Shear subcommittee. 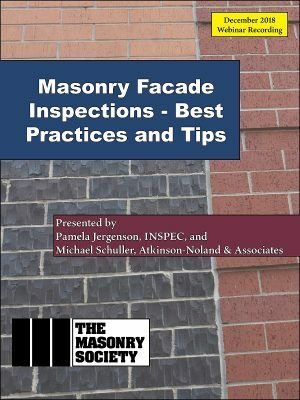 He is an author of the popular Masonry Designer’s Guide, has served as Associate Editor of The Masonry Society Journal, and currently serves on TMS’s Board of Directors. 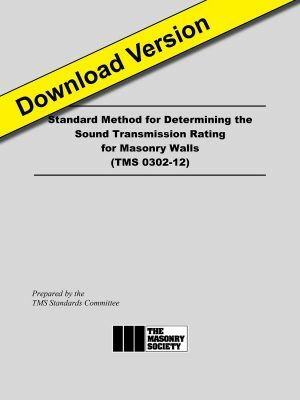 Dr. Bennett is a Fellow of The Masonry Society, and he won the 2016 TMS President’s Award for his excellent leadership of TMS 402/602 during the 2016 Cycle. He is a member of ASTM C12 on Mortars and Grouts for Unit Masonry, and ASTM C15 on Manufactured Masonry Units.